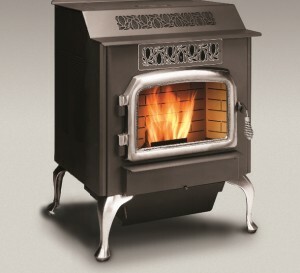 The Ravelli RV100 Classic pellet stove is a powerhouse heater. Modern and elegant styling with five choices for color selection paired with state of the art design, superior craftsmanship and high-end efficiency. Welcome to the new generation of pellet stoves. SKU: RV100C. Categories: Freestanding, Pellet Stoves, Ravelli, Stoves. Tags: 100 Classic, best pellet stoves Wisconsin, classic pellet stoves, European style pellet stoves, high efficiency pellet stoves, High end Pellet stoves, high heat output pellet stoves, Modern pellet stoves, Ravelli, Ravelli Pellet Stoves, Ravelli Pellet Stoves Wisconsin, Ravelli RV100 Classic, Ravelli RV100 Classic Pellet Stove, Ravelli RV100 Pellet Stove Wisconsin, Ravelli Stove, Ravelli Stoves, Ravelli Stoves Wisconsin, RV100, RV100 Classic, Top of the line pellet stoves. The Ravelli RV100 Classic has the ability of producing up to 44,000 BTU’s. Depending on climate and home efficiency, it will heat between 900 and 2,200 square feet. 55 lb. hopper capacity with a pedestal pull out ash drawer. The Ravelli 100 Classic has a cast iron grate, cast iron burn pot and stainless steel heat exchanger for increased fire resistance and reduced wear. Loaded with state of the art electronics and controls the 100 Classic is one of the most consumer friendly pellet stoves on the market. Standard programmable wall mount thermostat in addition to graphic display controls and thermostat timer. Five factory panel color choices available to customize to your decor. Manufactured in Italy. Earth Sense offers high temp painting services- choose from over 15 matte finishes!